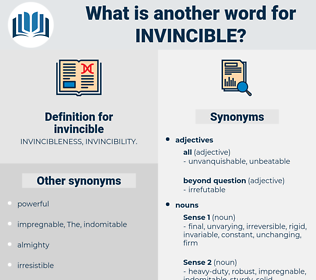 What is another word for invincible? 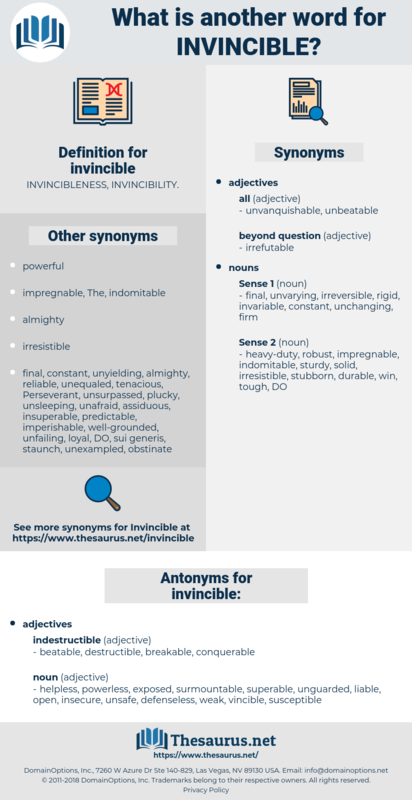 helpless, powerless, exposed, surmountable, superable, unguarded, liable, open, insecure, unsafe, defenseless, weak, vincible, susceptible.
" Something gone wrong in that direction," thought the duke, but his good humor was invincible. With the many who were silently praying, as they had been, bidden to do, the invincible ones leant forwards, watching the little room where healing - or tragedy - was afoot.